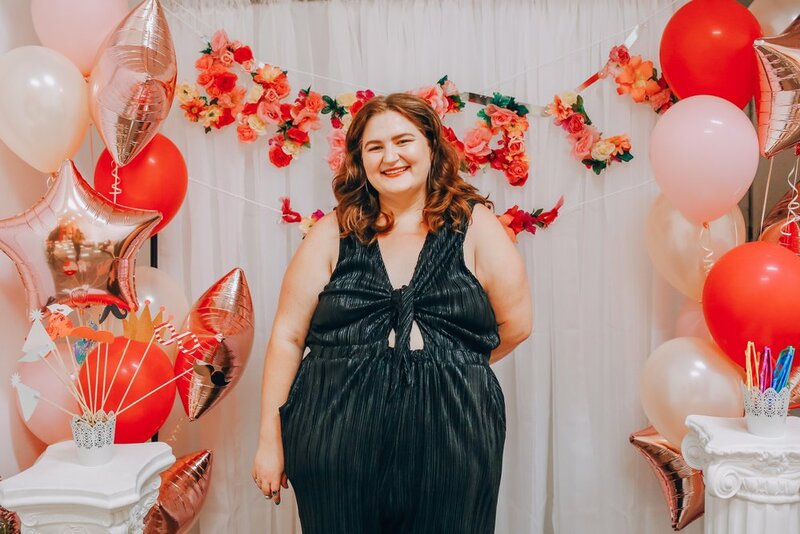 Writer and “She’s All Fat” podcast co-host Sophia Carter-Kahn joins us to talk about her path from extreme dieting to intuitive eating, how dating interacts with fatphobia and weight bias, overcoming body shame and body dysmorphia, how parents are influenced by diet culture and healthism, why we need to think about weight stigma as an important variable in terms of health, and so much more! Plus, Christy answers a listener question about using meal plans in eating disorder recovery. Sophia Carter-Kahn is a writer and podcaster based in Los Angeles, California. Along with April K. Quioh, Sophie is the co-host, -producer, and -creator of She's All Fat, the podcast for body positivity, radical self love, and chill vibes only. Sophia and April created She's All Fat to tell the stories of fat women and femmes. They discuss everything from pop culture to strategies to approaching tough conversations with family and friends, all through the lens of fat positivity. She's All Fat has listeners all over the world, and will have its first live show at the end of April at Flyover Fest in Iowa. As a freelance writer and editor, Sophia is interested in obscure history, weird literature, queer culture, and media. You can find more of her writing on her website, or sign up for her TinyLetter for weekly dispatches of curated reading from around the internet. Get on my email list to be the first to know about book-related updates! How do meal plans fit into eating disorder recovery? Are meal plans necessary for full recovery? What does recovery look like for people who don’t have or can’t afford formal treatment? Why is it so important to eradicate weight bias within treatment programs? Enter your email address to get the transcript delivered instantly! Writer and fat activist Caleb Luna joins us to talk about how gender identity intersects with fatness, how to tolerate the desire for weight loss, navigating food choices as a form of self-care rather than deprivation and restriction, why representation matters, the effect of internalized fatphobia within the family, breaking out of the gender binary, and so much more! Plus, Christy answers a listener question about navigating thin privilege while living in a smaller body. Caleb Luna is a writer, activist, teacher, performer, fat babe and Ph.D. student at the University of California, Berkeley, where their current project focuses on the relationship between bodies and discourse. They have also explored the intersections of fatness, desire, white supremacy and colonialism from a queer of color lens. You can find more of their writing on Black Girl Dangerous, Everyday Feminism and The Body Is Not An Apology. Find them on Twitter at @tummyfuq. Grab Christy's free guide, 7 simple strategies for finding peace and freedom with food, to start your intuitive eating journey. What exactly is “thin privilege?” How do we participate in the fat liberation movement if we’re in smaller bodies? What are the real-life consequences of weight stigma?